OS X Yosemite was released in October of 2014, and the minimum requirements for running Yosemite did not change from the early beta versions of the operating system. 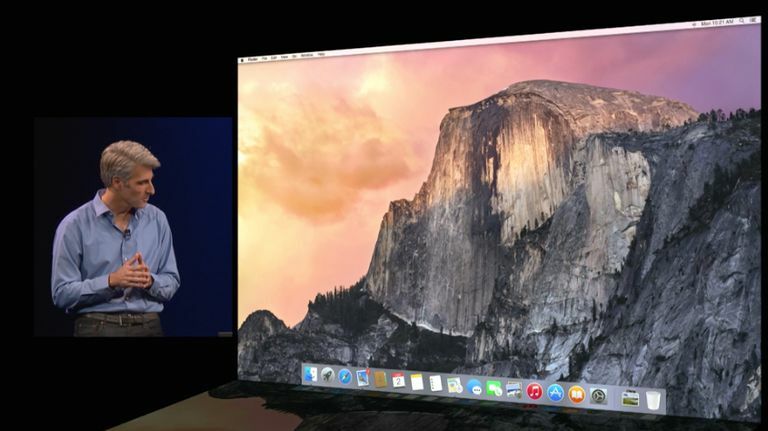 In essence, Apple wanted to ensure that if your Mac can run OS X Mavericks, then it will be able to run Yosemite. Perhaps a more important way of saying the above is that OS X Yosemite is the last version of OS X to embrace a wide range of Mac models, going all the way back to models from 2007. That’s pretty remarkable, considering how fast technology changes, that a Mac from 2007 can run an operating system from 2014, with hardly any performance penalties involved. Even better, OS X Yosemite is a clean, modern OS that can keep your older Macs living on for a long time; even longer with some basic updates, such as RAM, storage, or a Bluetooth 4.0/LE update. Keeping an older Mac running with OS X Yosemite looks like it will be an easy goal to achieve since Yosemite while offering some nice new features, doesn't really have anything that requires new hardware capabilities. The only exception is Continuity, which lets you seamlessly move between your Mac, iPhone, iPad, or iPod touch. Continuity, or more specifically the Handoff feature that lets you pick up where you left off on another Apple device, requires a Mac with Bluetooth 4.0/LE. If your Mac does not have Bluetooth 4.0 hardware, you can still install and run OS X Yosemite, you just will not be able to use the new Handoff feature. By the way, if your heart is set on using Continuity with your Mac, and your Mac doesn't include Bluetooth 4.0/LE support, you can easily add the capabilities to your existing Mac by using a relatively inexpensive Bluetooth dongle that supports the required Bluetooth 4.0/LE standards. We may have implied above that adding the needed Bluetooth support is a very simple process; let's amend that statement slightly. If you simply plug in a Bluetooth dongle, you'll discover that while your Mac is able to use the dongle, it doesn't recognize the dongle as a native Bluetooth 4.0/LE device, and won't turn Continuity and Hand-Off on. There's one more step to take; you need to install a small bit of software called the Continuity Activation Tool. Check for pricing on Amazon for ASUS BT400 or IOGEAR GBU521. With the activation tool installed, you should be able to use all the features of OS X Yosemite, even with older Mac models. 8 GB of drive space minimum. For basic installation, with only the default apps plus one or two of your own favorites, then 16 GB is a practical minimum. If you want to test Yosemite with a full complement of apps, then additional storage space will be needed, we recommend at least 40 GB to 100 GB of available space for a clean install of Yosemite. The extra space should allow you to either install the apps you need or use the OS X Migration tool to bring them over from a previous version of OS X. Of course, if you're just upgrading from a previous version of OS X, then the minimum free space should be all you need for installing OS X Yosemite. Don’t forget that having additional free space available on your Mac's startup drive is always a good idea, and if you're close to filling up your startup drive, you may want to consider adding an external drive to store some of your data.